We follow the Home Office and Health and Safety Executive guidance on fire; to provide user-friendly, plain-English fire risk assessments, which are risk-based. By providing easy-to-read fire risk assessment recommendations, which our clients can easily understand and implement, we improve fire safety. Our consultants all have practical experience of assessing and dealing with fire risks, and are Chartered members of the Institution of Occupational Safety and Health (IOSH), Europe’s leading body for health and safety professionals established in 1945. As a chartered body, IOSH is the guardian of health & safety professional competence. Our experiences of assessment span a vast range of workplaces. We offer general Fire Risk Assessments, Healthcare Fire Safety Assessments and also specialist office fire risk assessments to the relevant British Standard. A Fire Safety Risk Assessment is an organised look at what could cause harm to people in your work activities and workplace. This will allow you to assess whether you have taken enough precautions or should do more to avoid harm. The important things you need to decide are whether a hazard is significant and whether you have covered it by satisfactory precautions so that the risk is acceptably low. As with any risk assessment, the assessor should follow the pattern; Identify fire hazards; Identify people at risk in case of fire; Evaluate, remove, reduce and protect from risk; Record, plan, inform, instruct and train; Keep assessment under review (we suggest a six monthly review). Our fire risk assessments are broken down into the following easy categories; Identifying people at risk; Ignition source reduction, Fuel source reduction; Oxygen source reduction; Detection and warning systems; Means of escape; Means of fighting fire; Maintenance and testing; Procedures and training for fire; and Security to reduce arson risk. Fire training for all staff every six months was a legal requirement of every fire certificate issued by the fire brigade! However, following the issue of guidance within the Regulatory Reform (Fire Safety) Order 2005 and new fire guides for business from the government, training frequency is to be decided by your own risk assessment. We recommend for the security of both life and property, that all employees should be offered basic fire training. Our easy to understand course covers the essential elements of how fires start, how fire spreads, who is at risk, looking after visitors, evacuation of those with mobility-impairments or those with hearing loss or other relevant disability, fighting a fire where safe, safe working outside normal working hours, the harmful effects of smoke and the critical four actions to take in the event of a fire. 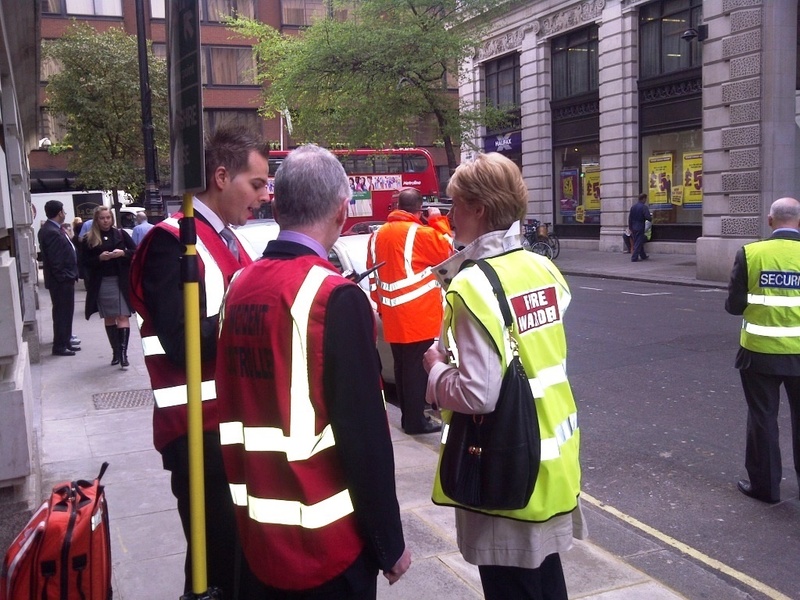 Every organisation should hold a fire drill, at least once per annum. Many businesses hold a routine drill twice per annum, whilst some educational establishments aim for three per annum to fall in line with the three terms. For a Fire Marshal Evacuation Observation Report or to book a planned fire drill with technical report, simply drop us an email. There are two things that every employer MUST do to manage fire safety. These are to write a fire emergency plan and the second is to conduct a suitable and sufficient fire risk assessment. 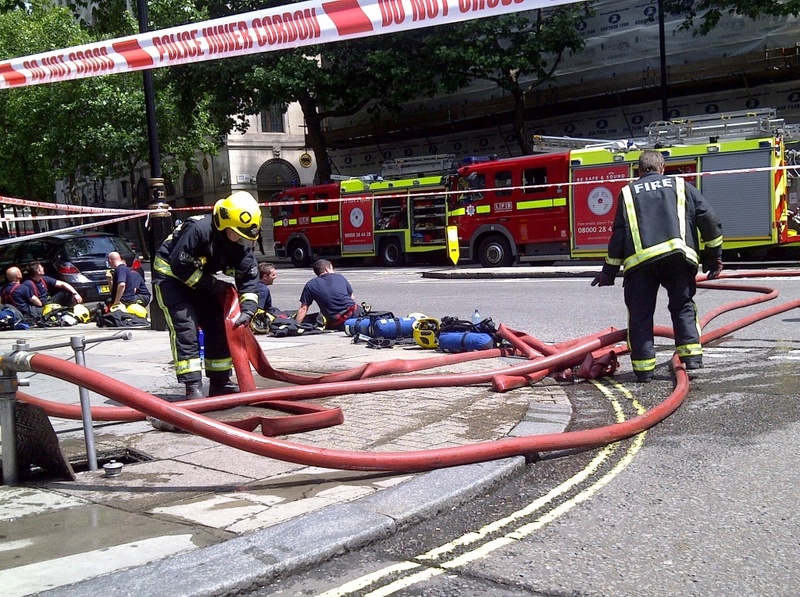 We have a proven method to help you prepare your fire emergency plan, which meets the requirements of The London Fire & Emergency Planning Authority. Our plans follow Fire Safety Guidance Note number 66 issued in preparation for the Regulatory Reform (Fire Safety) Order 2005, which came into force on 1st October 2006. A fire emergency plan should be prepared in conjunction with the Fire Risk Assessment and ideally requires a set of up-to-date floor plans for your premises. A fire safety risk assessment is an organised look at what, in your work activities and workplace, could cause harm to people. It allows you to assess whether you have taken enough precautions or should do more to avoid harm. The important things you need to decide are whether a hazard is significant and whether you have covered it by satisfactory precautions so that the risk is acceptably low. A hazard is something that has the potential to cause harm. The likelihood is the chance of an “incident occurring”. A risk is the chance; high, or moderate or low; of that harm occurring.